Those were my feeling during Rwanda Day 2014in Atlanta, USA. Proud to be Rwandan. Humbled by what Rwanda and Rwandans have witnessed and survived. Hopeful for our future as individuals, as a Country, and as a Continent. Rwanda Day is in its sixth year. Initially skeptical, as this was my first time attending, I was convinced that it was another gathering with lots of speeches and little action! But I was pleasantly surprised. It was two days filled with forums, networking opportunities, career fairs and entertainment. We heard from government officials, community leaders, former ambassadors, leaders from the private sector as well as His Excellency President Paul Kagame addressing Rwandans and friends of Rwanda, around the centre theme of Agaciro – Personal dignity and self- worth. 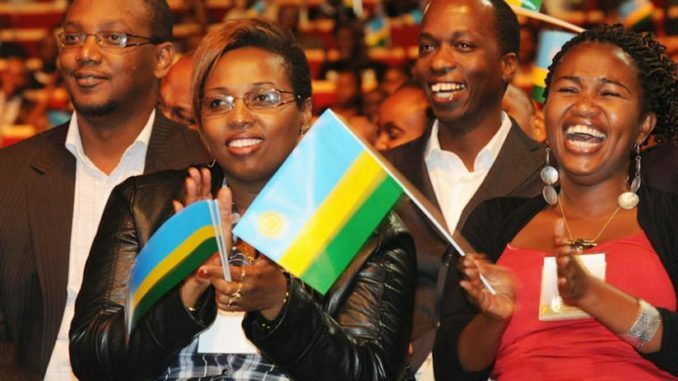 As President Kagame noted, Rwandans understand the value and importance of self-worth, since for years we were denied to live in our own land, resulting in a war that left our country shattered and in desperate need of reform and rebuilding. The theme led me to reflect on what Agaciro meant for me. How does one ‘achieve’ it and live it? Self-worth is one of those buzz words that is thrown around but never really explained, leaving many individuals to adopt their own definition and road map to ‘achieving it’. To be impeccable with my word. This means to do what I say I am going to do and use my words to encourage instead of tearing down. Present myself in a way that is reflective of my upbringing, my family and personal beliefs that I have developed over the years. To be respectful of others, regardless of whom they are, their backgrounds and beliefs. To choose love and compassion, instead of hate and criticism. To stand up, not for what is popular but for what is right. – To fearlessly honor myself, my dreams and my goals. But as the title of this post suggests and as our leaders echoed throughout Rwanda Day 2014, it is a choice. A daily choice! What is your definition of Agaciro?